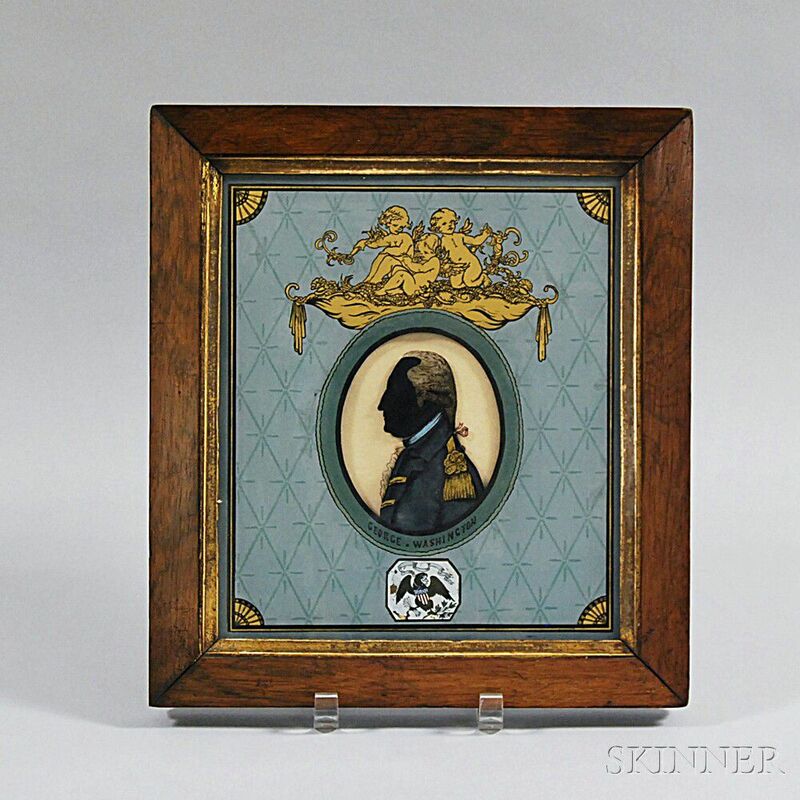 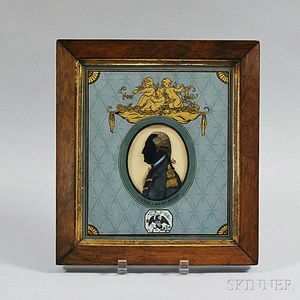 Framed Reverse-painted Portrait Bust of George Washington, 19th century, the medallion depicting Washington under a scene of putti and over a tablet with eagle, shield, arrows, and banner, ht. 12 3/4, wd. 11 1/2 in.